Sod is a great material to use on your lawn, and it has many advantages that you can enjoy once the project is finished. There are several methods for installing and using sod, but for the best results, you should hire a professional who specializes in sod in Seattle, as that way you can be sure you are getting the best service available. Installing sod on your lawn will give you benefits that you would otherwise not be able to enjoy. Sod is easy to install, does not take too much effort, and can be great for your home. Here are some of the advantages of sod. 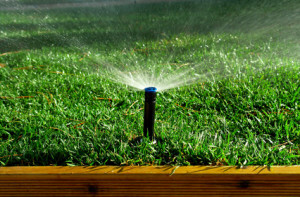 One of the best benefits of using sod for your lawn is that it will reduce the heat around your home. The natural grass will cool the air around the home, making it much more comfortable to spend time outdoors and also a lot healthier. Oxygen will be released more than usual due to the presence of the sod, and greenhouse gases will be reduced, as the sod will absorb the carbon dioxide in the air and keep it cleaner overall. Sod reduces the heat, but also keeps air cleaner and reduces allergy and asthma symptoms. Sod is fully matured as soon as it is installed, which is why you want a professional to handle it. Once the installation is complete, you will immediately enjoy filtration and erosion benefits. Erosion will be controlled and limited so your landscape will be more stabilized. This means there will be less risk of landslides on slopes and hills in your landscape. It will muffle noises and filter dirt and dust from your home. The controlling of erosion and filtration means that air around your home will be cleaner. It also means that the land on your property will be much more stable. By installing sod for your lawn, you will greatly increase the overall value of your home. Many potential home buyers are impressed with sod as a material for lawns, and will be okay with paying more to enjoy the benefits themselves. This makes sod well worth the investment, as it will not only lower your energy bills by cooling the air, but will also make it so you can sell your home for more if you ever need to put it on the market.